This power supply uses the LM317T integrated circuit, which allows the output voltage to be varied between 1.2 and 30V with currents up to 1.5 Amps. To be used as a battery and battery eliminator in most applications. Unlike complicated transistor sources, this is an excellent choice for anyone who wants an adjustable power supply with a current capacity of up to 1.5 amperes. The CI lm317 is low cost and can be found with facilities in electronics stores. In the AC connectors you must connect a 24 volt transformer with a current capacity of at least 1.5 amperes. The transformer that will determine the maximum voltage obtained at the output of the power supply, in this way you must choose a transformer that meets your needs. Then we will use a transformer with commercial value of 20VAC. The bridge rectifier bridge accepts equivalents from 2A / 200V, such as RS207, KBL404, KBL405, KBL406, KBL407, MDA970A5, FBU4D, FBU4F, FBU4G, KBP304, KBP305, KBP306, KBP307, Ts4b05g, Kbu808. 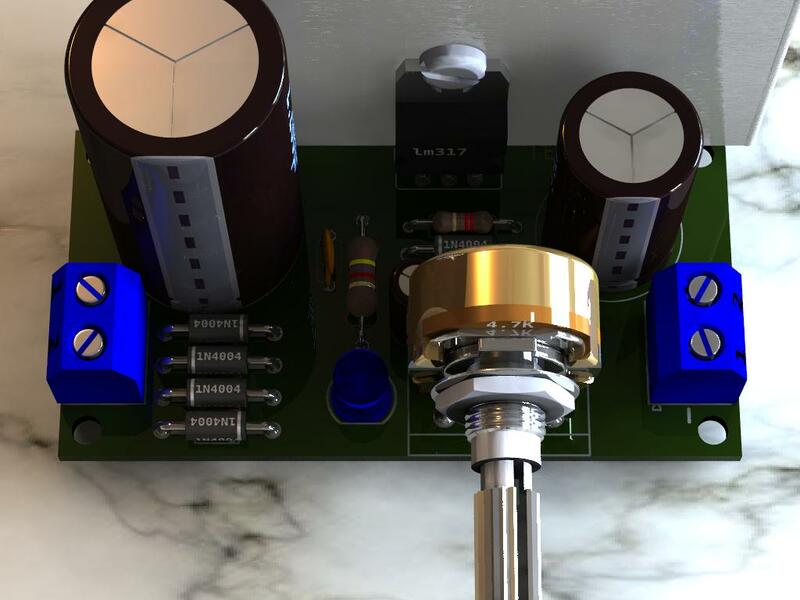 To fine voltage adjustment use a 220Ω potentiometer in series with the potentiometer of 4.7k. Connect a voltmeter to the output to determine the voltage. Or use the multimeter. You can use this source with fixed voltage, to power certain equipment, example 17.8 volts per 1 Ampere. 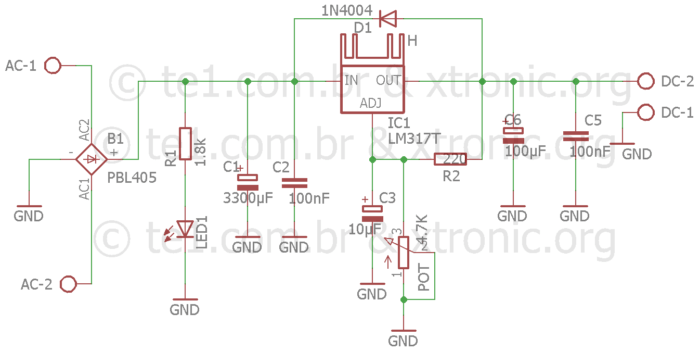 You can use 2 or 3 LM317 to increase current capacity up to 4 amps use resistors of 0.22Ω 10 W at the output of each lm317. 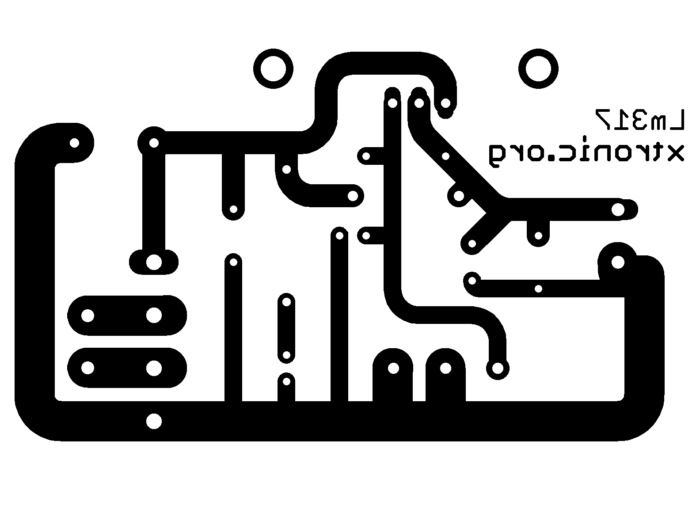 Printed Circuit Board, Welding, Wires, Transformer according to design, Box, Heat sink for Lm317, etc. Buy kits LM317 DIY in Aliexpress with free Shipping in the Worldwide. Thank you for this circuit. 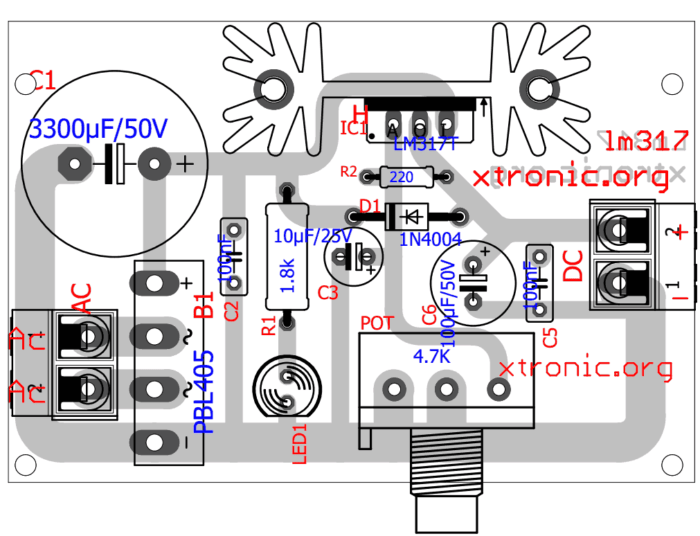 I made everything exactly like this one, except I used a GBL206 rectifier. I use a 18v transformer. My problem is that when I turn it on, the led does not come on, and the resistor R2 burns. 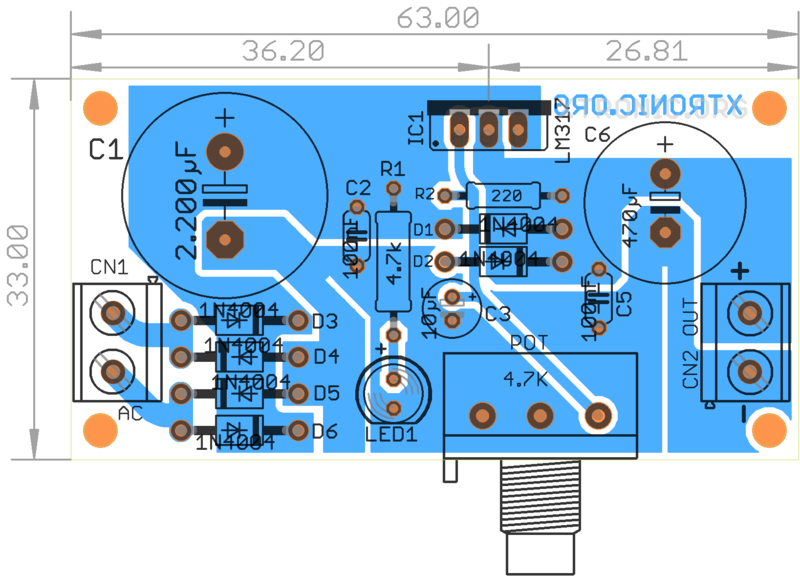 I think the lm317 is also shorted now. How many watts should R2 be, or what am I doing wrong? Also checked for shorts. Hi, great work. 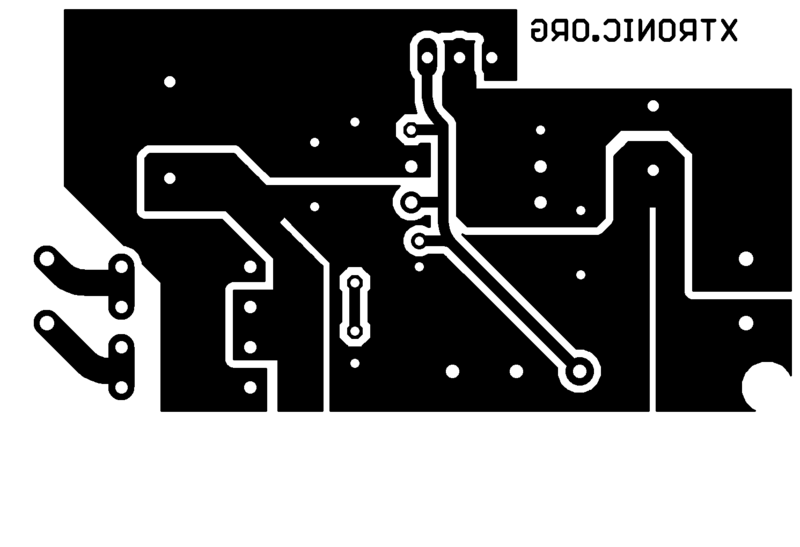 What are dimensions of this pcb ?